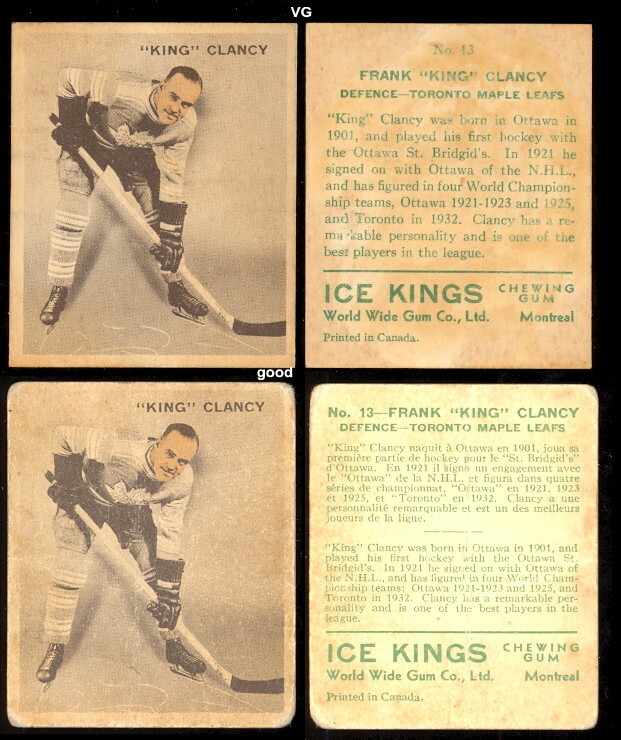 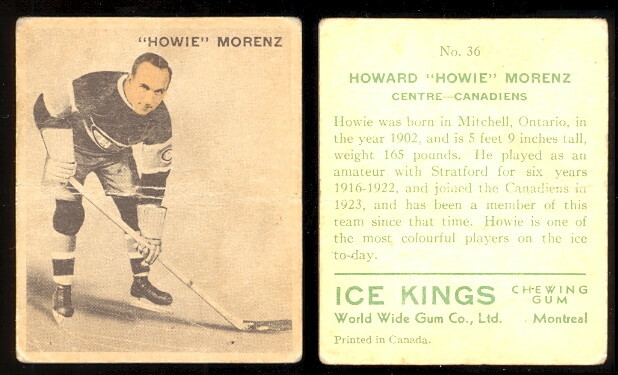 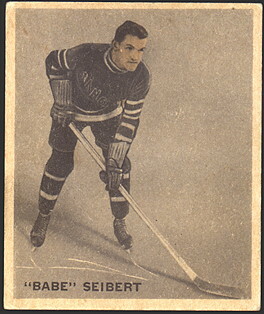 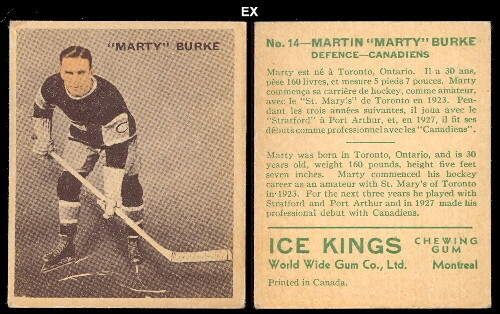 Babe Siebert Nice assortment of rare Ice Kings Hockey Cards on this page now! 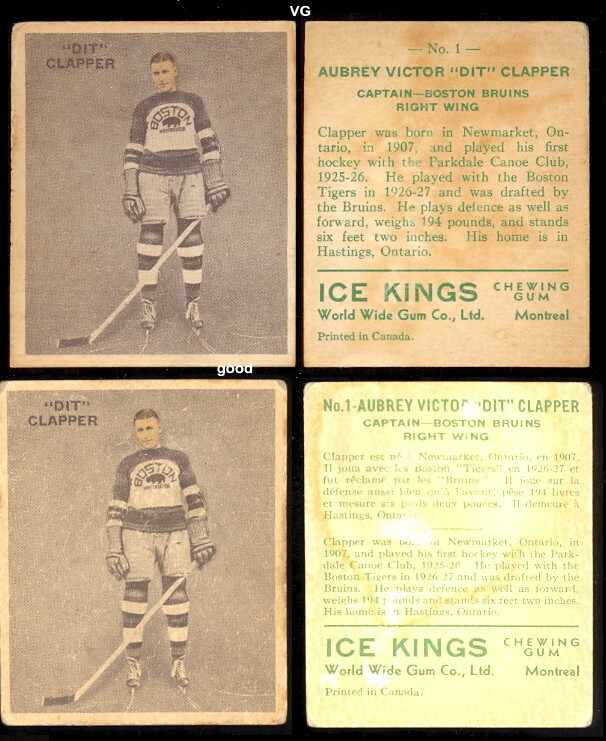 The V357 Set consists of 72 cards measuring approx. 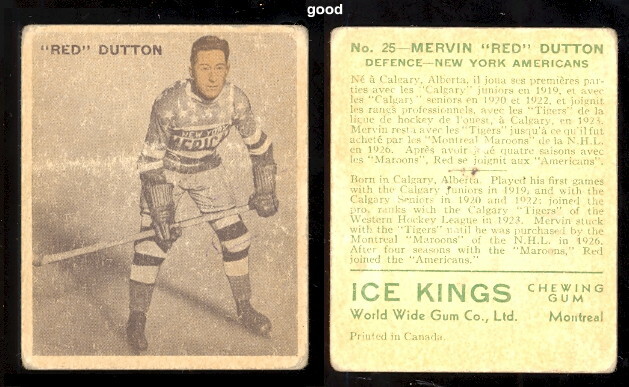 2 3/8" x 2 7/8", featuring a black and white photo and the players name on the front. 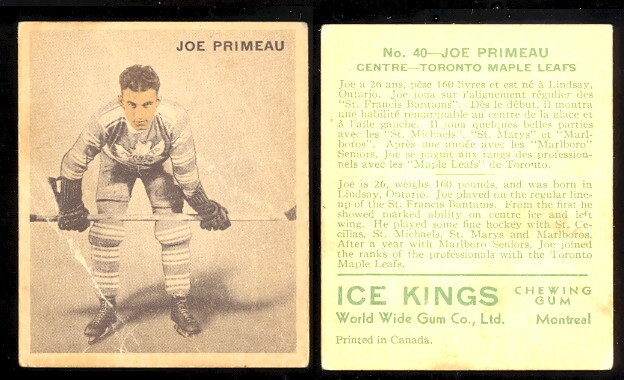 The backs include the card number, the players name, position, team and biographical data. 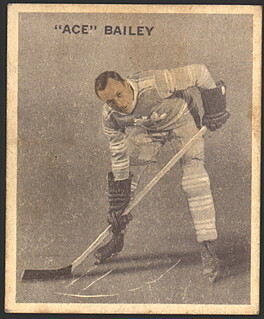 Cards appear either in French and English or English only.